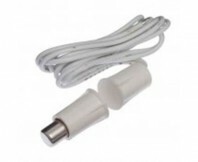 Comtel Technologies stock a range of reed switches for a variety of applications. Reed switches are a two part system comprising a 'switch' and a magnet; one part is installed into the frame, while the other is installed into the door or window. When the two parts are no longer together, the switch is activated. This can be used in conjunction with a PRESCO PAC1, for example, to sense whether a door has been forced open without the appropriate code or when a door is open for too long (DOTL Function). 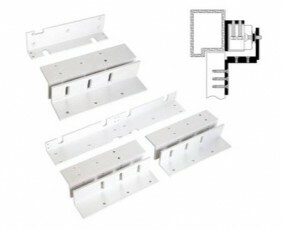 Comtel Technologies stock a range of mounting accessories for the installation of electro-magnetic locking devices. 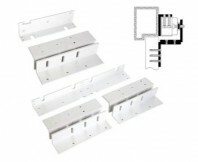 Please refer to the PDF brochure to ensure you choose the right bracket for the mag-lock you intend to use. Please check availability with Comtel. 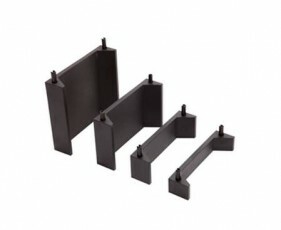 A variety of extension lips are available for our range of electronic strikes. Extension Lips for the FSH FES10 and FES20 electronic strike are available in 15, 25, 50 and 75 mm depths.